ARE YOU BUYER MATERIAL? - The Rough Notes Company Inc. There are many insurance firms that might not have considered selling in the past, but today’s attractive market has opened their eyes. For some, the time is right and valuation multiples are enticing. Agencies are looking ahead: What’s the perpetuation plan, anyway? Will I get the same value from the business if I hold on to it for five more years? Plenty are recognizing an opportunity to leverage the market’s appealing conditions. They’re deciding to go ahead and sell. This can be great news for buyers, too. [D]ecide what you want an acquisition strategy to do for your firm, and determine whom you want to target to achieve this. With more sellers in the market, buyers are more likely to find an ideal fit for their organizations, provided that they can differentiate themselves from the pack. 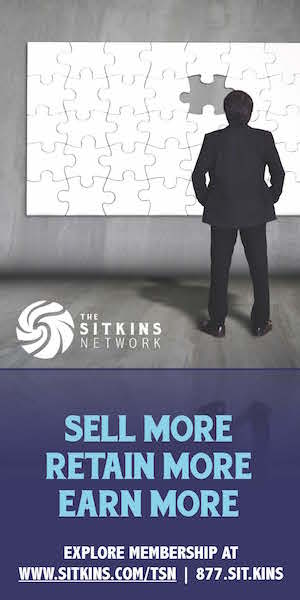 If buyers spend the time to map out a thoughtful acquisition strategy—if they really ask, “Why do we want to grow through acquisitions?” and, “What do we hope to gain by growing this way?”—then they can target sellers that align with their goals and can better explain to the sellers why each is a good strategic fit for the other. So, should you be a buyer in today’s market? As you consider how to increase revenues, expand geographically, introduce new products, and acquire top talent, do you have the capabilities to achieve this organically? Or, is it time to consider being a buyer? Here are some key strategies we see driving buyers to the market. Are you next? Nearly every buyer achieves some economies of scale when they make an acquisition—and carrier commissions are a significant advantage to scaling up. Carriers pay supplemental or contingent commissions when agencies reach certain growth thresholds. While those commissions are generally negotiated on an annual basis, what’s constant is their dependence on size. Bigger brokers get higher commission rates. This contributes directly to earnings, likely giving those larger agencies a leg up because their deals are simply rewarded with more money. This automatic revenue synergy is directly associated with size and scale. Another key driver of scale is related to expense reduction. Larger organizations realize economies of scale within support areas, including technology or accounting and finance. When an organization has more scale, these critical back-end expenses are “spread out” over a larger revenue base and make less of a negative impact on the bottom line. For the most part, the same technologies and accounting practices are necessary for a firm that does $10 million in revenue and one that’s bringing in $20 million or $30 million. The difference is, those larger firms have more revenue to offset the costs, making their operating and overhead outlays a much smaller piece of the expense pie. But there’s a catch here: You need to be willing and able to actually achieve these expense synergies, which means you need to eliminate redundant staff. If you’re not prepared to do that, you likely can’t claim this as a strategic reason to acquire. What opportunities for growth exist in your current market? For some agencies located in slow- or no-growth regions, expanding the customer base is not so easy. Producers may feel tapped out, which is a good reason to consider widening the footprint through acquisition. Even smaller firms that do not “own” their local markets may find they’ve hit a wall—and unless they look beyond the existing service area, achieving growth goals may be impossible. A strategic acquisition could bring your brand to new territory, so you can hopefully increase business. Additionally, geographic expansion can help provide diversification—something that’s critically important for sustainability. There are various approaches for expanding geographically. Some firms will identify attractive markets, plant a flag there with a platform acquisition, then continue acquiring “bolt-on” businesses to further solidify their presence. Or, an agency may recognize that it can expand out from its existing market (as opposed to moving to a completely different region or state). We believe it’s always a good idea for buyers to consult with professionals in states where they are not currently doing business, so they can understand varying regulations or market nuances. For example, California has a complex legal environment for restrictive covenants, so engaging key employees at a California target firm is important. With knowledge of the rules and regulations, you can go into the new market with your eyes wide open—and try to mitigate risk. The key: Do your homework on new markets you are considering before going after an acquisition. An advanced play for buyers that have already achieved some scale and expanded geographically is to acquire specific industry skillsets—expertise or products. Buyers may recognize that they could cross-sell to existing relationships if they had the specialty to offer. So, by acquiring an expertise, they can leverage that new unit and be a complete provider in their markets—do more for clients who already do business with the firm. Examples of specialty areas include healthcare, oil and gas, surety, hospitality or professional liability. A buyer may recognize a gap in the firm’s capabilities and acquire an agency that has a specialty it desires to round out the business. We see this happen often, and the strategy works two-fold: solidifying client relationships (they decide not to go elsewhere for the specialty); and providing another sales tool for producers to capture new business they couldn’t have offered before the acquisition. Many acquisition strategies in the brokerage space are about seeking talent. Whether an acquisition strategy is focused on increasing scale, expanding geography, or adding a specialty, gaining talent is a consistent demand. That said, some buyers are seeking stars to fill specific leadership roles. 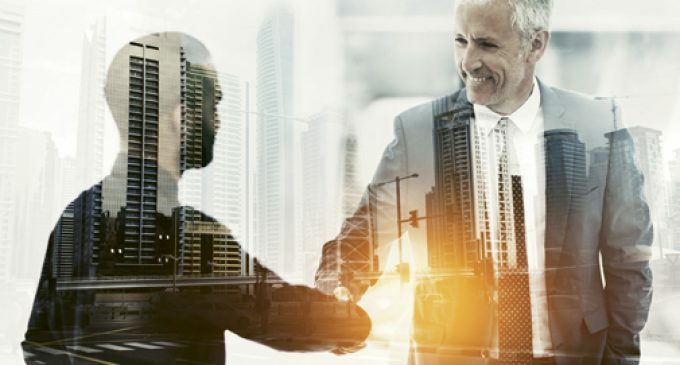 Beyond acquiring a business’s talent overall, they’re honing in on key individuals to support a succession strategy or to help them achieve certain strategic objectives. A buyer may recognize that the company will eventually lose a key leader and be looking for a high-performing and high-potential individual to groom for that position. When knowledgeable buyers encounter valuable talent, they recognize it—and this talent could greatly increase their desire to buy a firm. So, here’s the takeaway—decide what you want an acquisition strategy to do for your firm, and determine whom you want to target to achieve this. Sit down with your management team and really evaluate how being a buyer could benefit your firm. Put pen to paper—literally, go through the exercise of writing down what your agency hopes to achieve from an acquisition. We get calls all the time from firms looking to acquire, but they generally can’t explain what they want to buy. Imagine soliciting a new insurance prospect and having no answer when the prospect asks why they should work with you—it’s sales 101… but for buyers. Brad Unger joined Marsh, Berry & Co., Inc. (“MarshBerry”) in 2015 as a vice president on the Mergers & Acquisitions (M&A) team. In addition to his M&A advisory responsibilities, Brad also is involved with the firm’s financial consulting business. 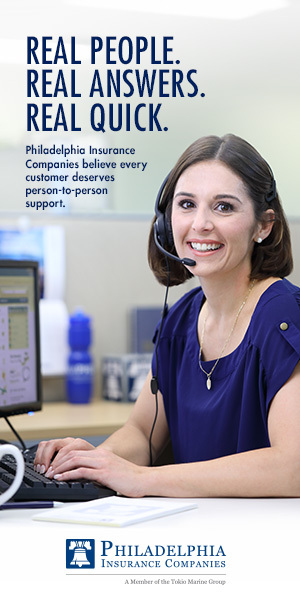 MarshBerry helps insurance agents, brokers and carriers as they work to maximize their value through a variety of industry-specific services. Contact Brad at Brad.Unger@MarshBerry.com or (440) 220-5435. Deal activity in December 2017 was slightly down at 33 announced transactions vs. 38 in the previous month. Preliminary 2017 activity indicates there were 536 deal announcements during the year, up 21% from a total of 443 in 2016. These figures may be revised to include early 2018 announcements for deals closed on or before 12/31/17. Overall, the year reflects the highest level of deal announcements in the history of Marsh, Berry & Company, Inc.’s proprietary database, eclipsing the prior watermark of 456 deals set in 2015. Acrisure, LLC announced seven transactions in December, well above HUB International Limited, Alera Group, Inc., and Assured Partners, Inc., each of which announced three deals during the month. Acrisure and HUB also appear to have been the most active buyers during 2017, with 67 and 42 announcements, respectively. Throughout the year, we have seen several private equity firms invest in their second or third insurance distribution businesses, and the end of the year was no exception. During November, The Carlyle Group, L.P., a private equity-backed buyer, announced its acquisition of BenefitMall, Inc., a provider of both payroll services and employee benefits to small and medium-sized employers. This acquisition adds to Carlyle’s current insurance distribution footprint with investments in Edgewood Partners Insurance Center (“EPIC”) and JenCap Holdings, LLC. Disclosure: All deal count metrics are inclusive of completed deals with U.S. targets only. Scorecard year-to-date totals may change from month to month should an acquirer notify MarshBerry or the public of a prior acquisition. Please feel free to send any announcements to M&A@MarshBerry.com. Source: S&P Global Market Intelligence; http://www.carlyle.com/ and other publicly available sources and MarshBerry Opinion & Experience. Securities offered through Marsh Berry Capital, Inc., Member FINRA and SIPC, and an affiliate of Marsh, Berry &Company, Inc., 28601 Chagrin Blvd, Suite 400, Woodmere, OH 44122(440) 354-3230.